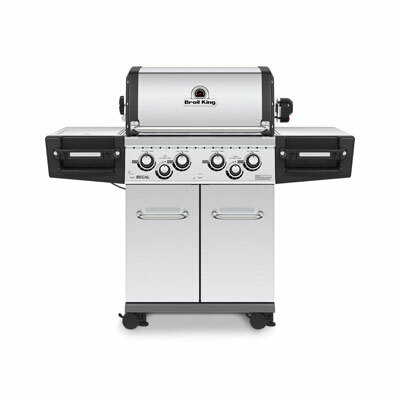 You dont want to make any compromises when youre grilling? 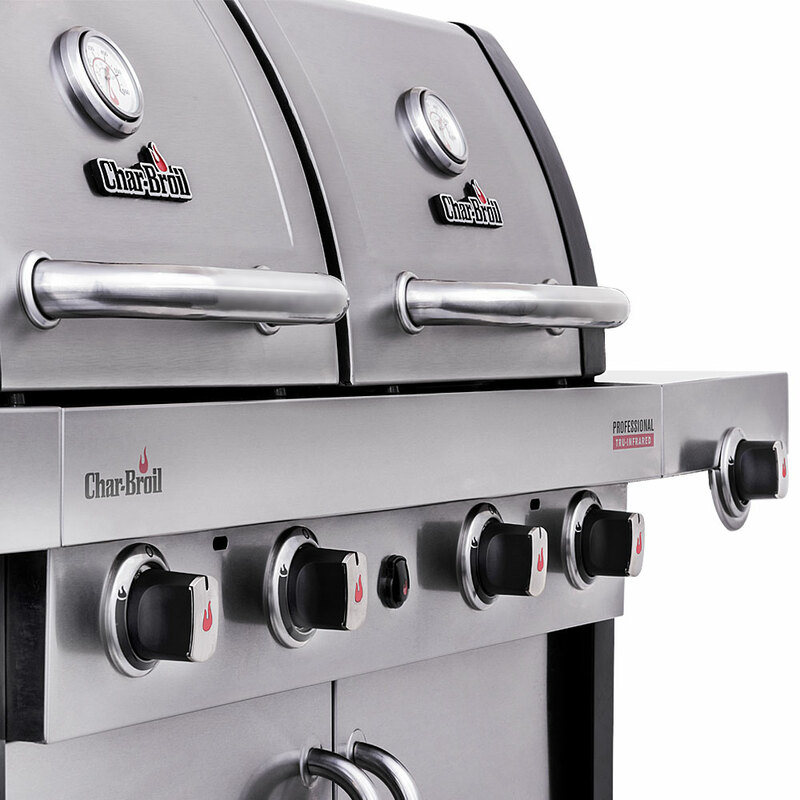 The new Professional 4600 Double Header from Char-Broil promises maximum flexibility. 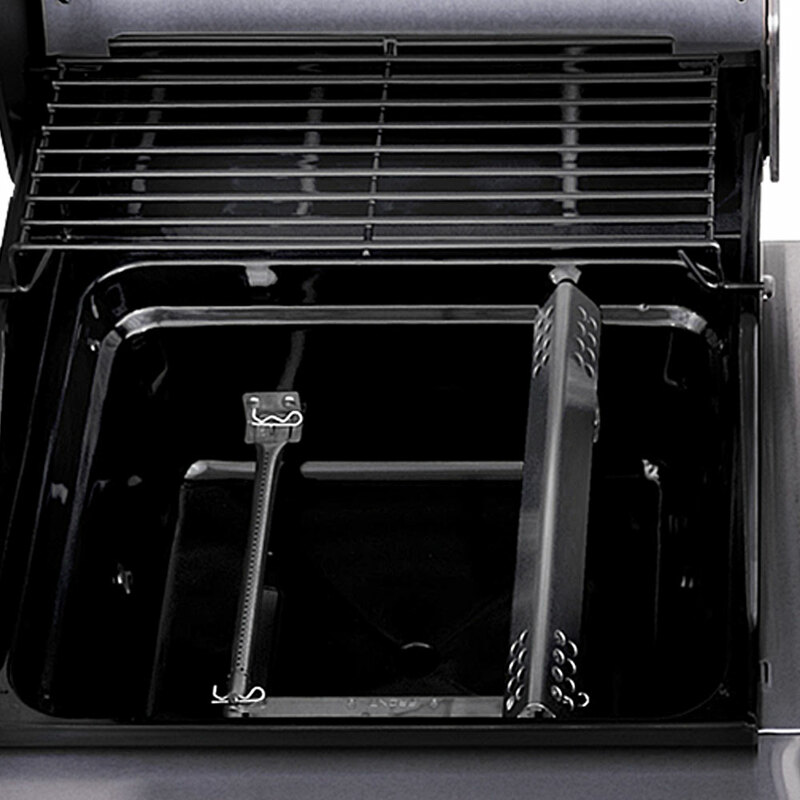 The two separate cooking areas, each with its own lid, are equipped with the patented TRU-Infrared cooking technology. 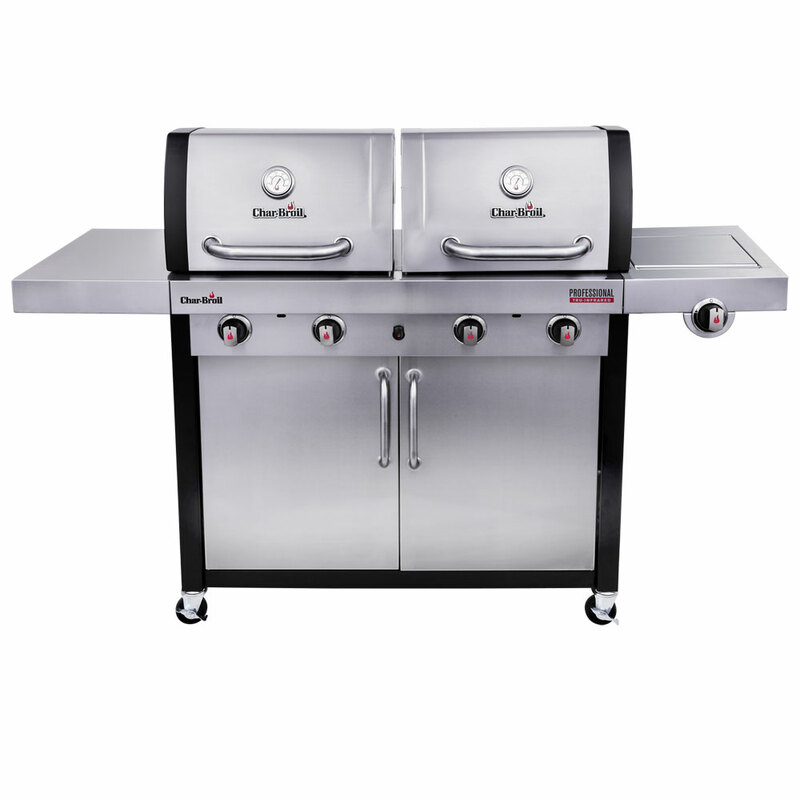 This allows you to achieve perfect results, whether you want to grill fish, meat, vegetables or everything at high and low temperatures at the same time. 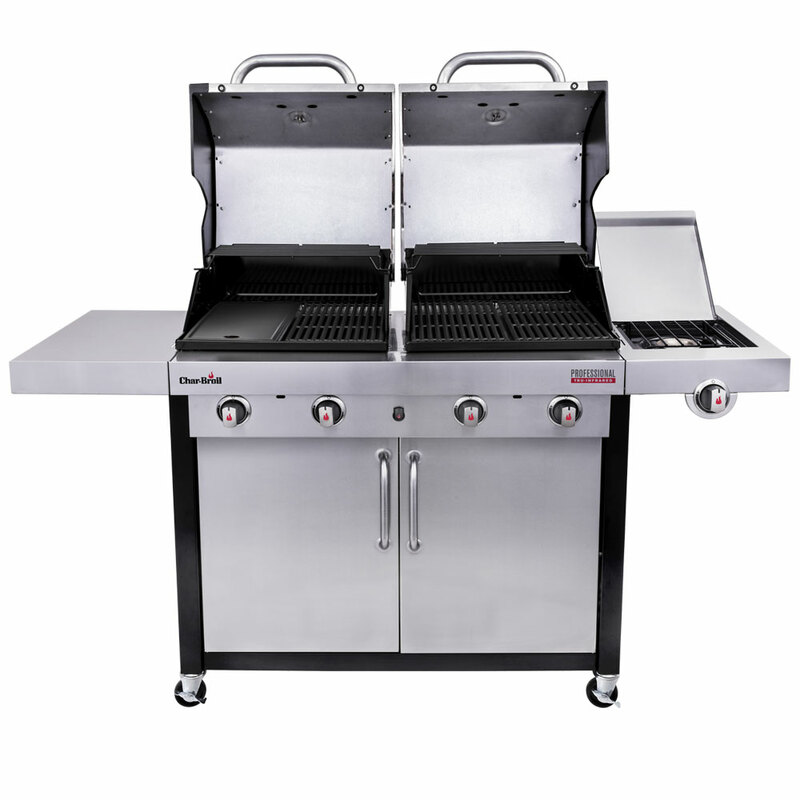 The Professional 4600 is fitted with four stainless steel burners. 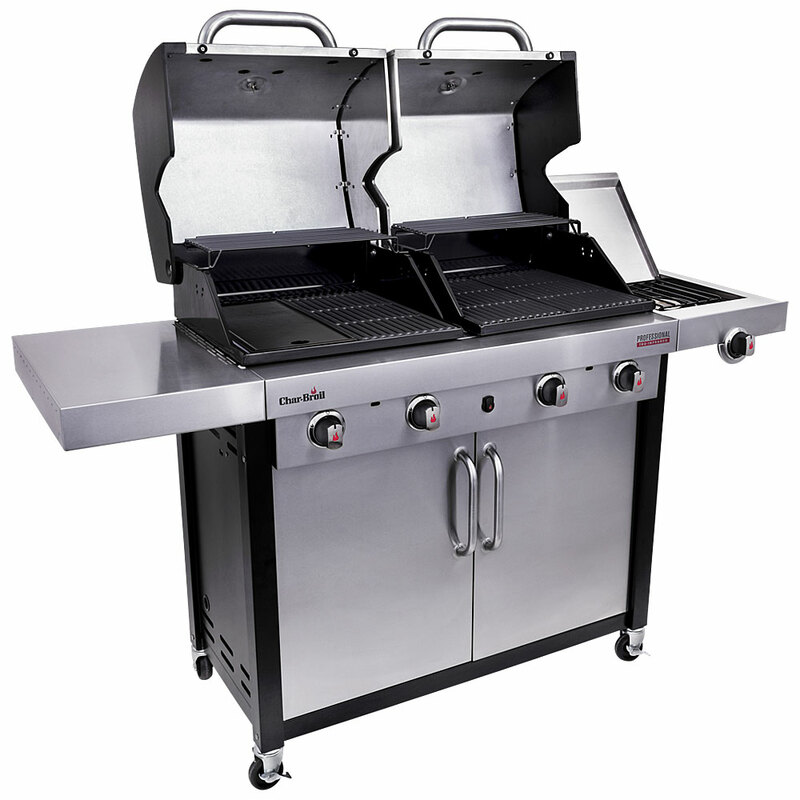 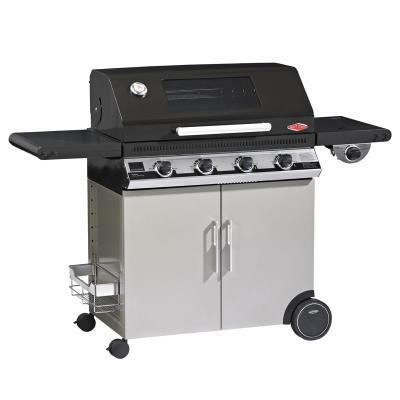 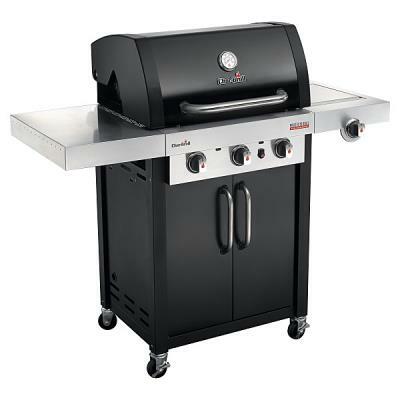 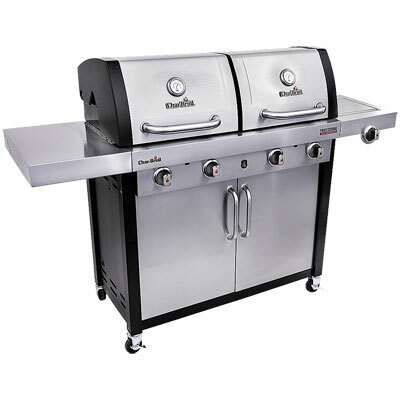 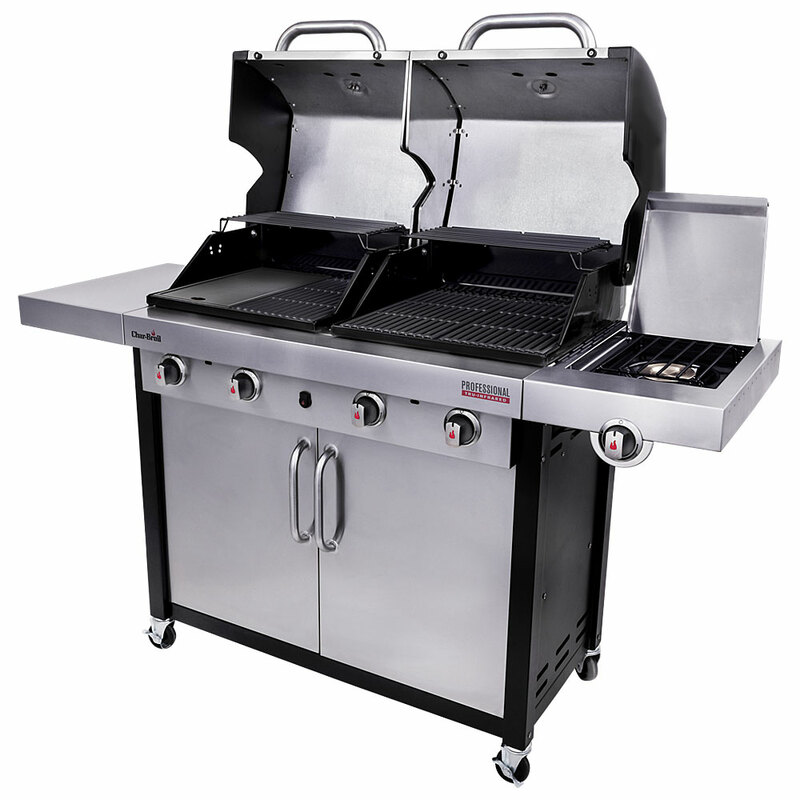 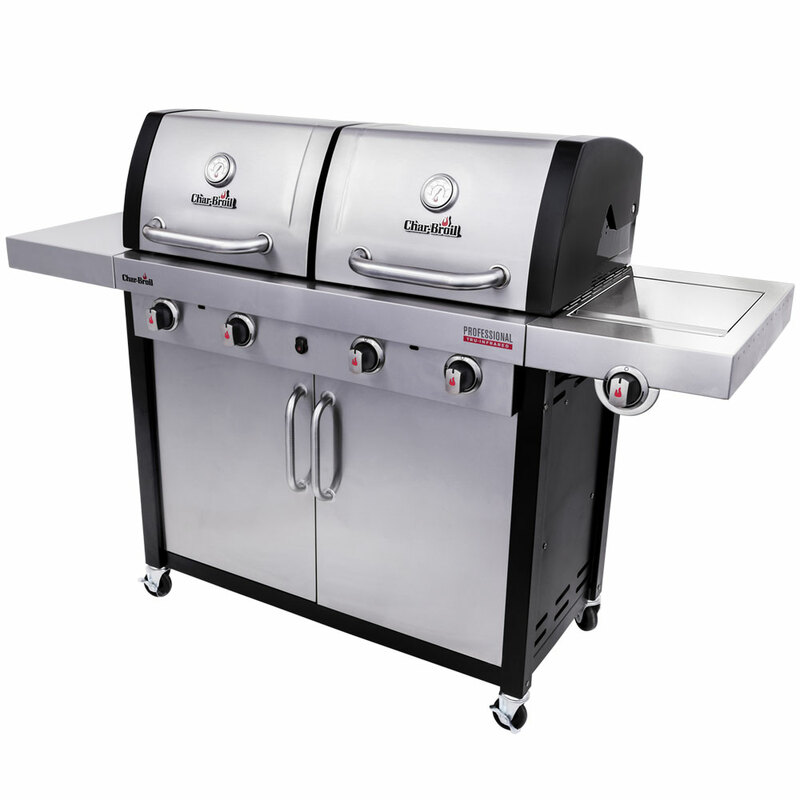 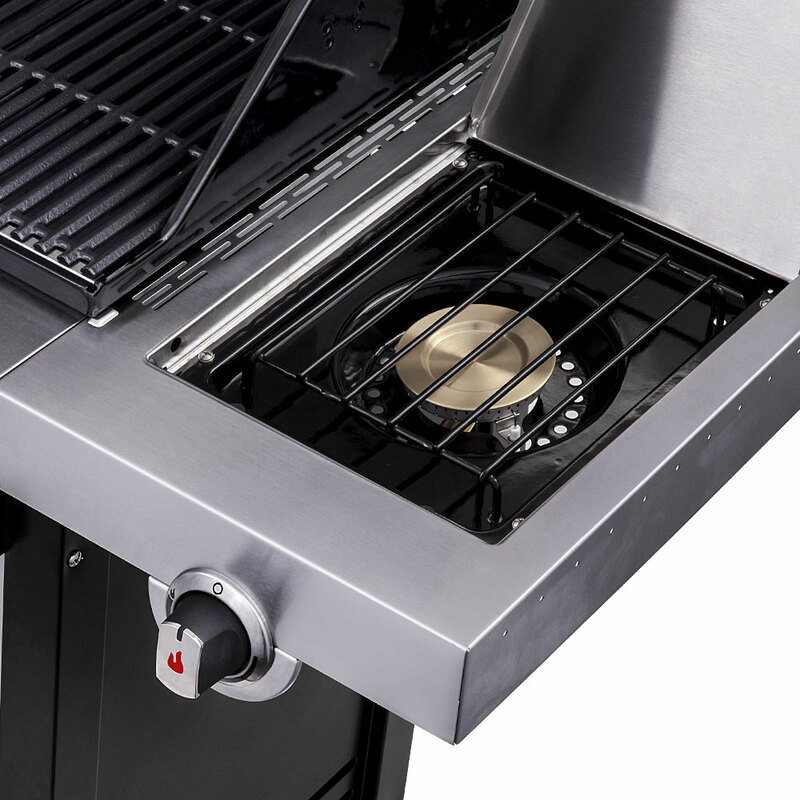 The integrated side burner also offers an additional preparation and grilling area. 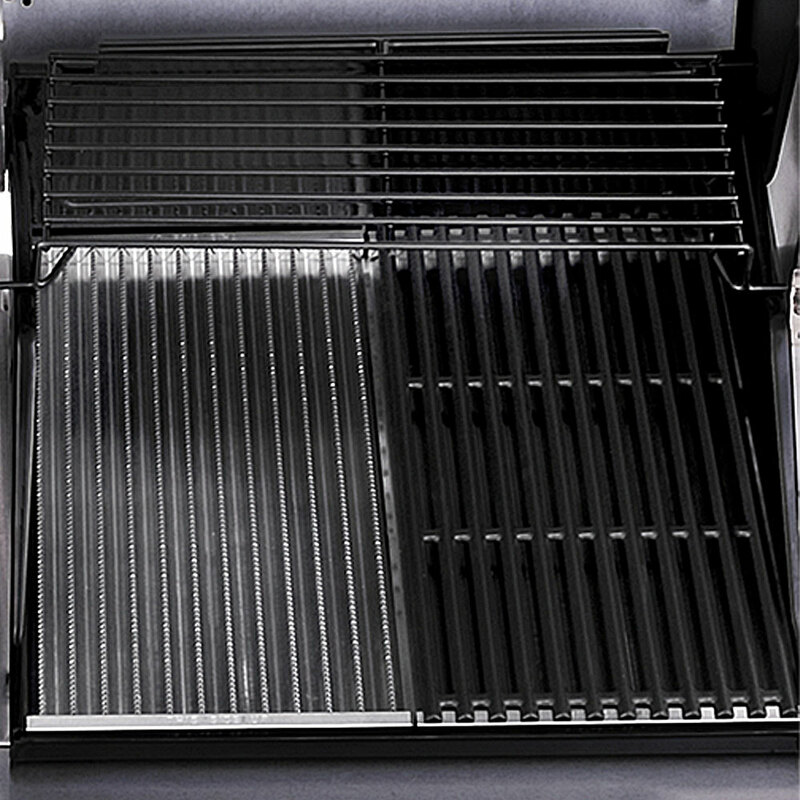 Moreover, the three cast iron grill grates are supplemented by a cast iron griddle as standard.